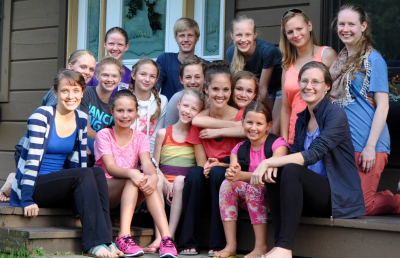 SDG Arts camp is a week of dance, discipleship, and inspiration. 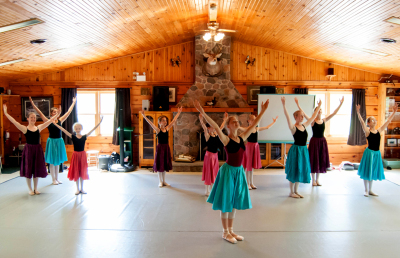 Join Soli Deo Gloria Ballet and a host of guest artists, speakers, and performers in a beautiful southern Ontario setting. Dance sessions are taught by professional ballet dancer Carolyn Currey. Daily Bible studies are led by author Rachel Starr Thomson. 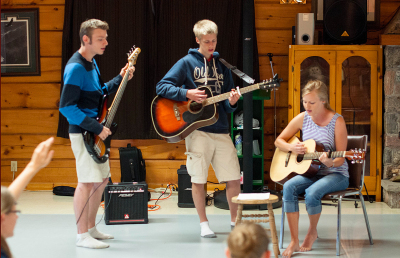 Arts workshops include singing, animation, visual art, and more, as campers learn to use all their artistic and creative gifts to the glory of God! My twelve year old daughter has attended the camp the last 2 years and loves it. She has really been challenged to grow as a dancer and Christian through this camp. The teachers and staff are such wonderful examples and role models for my child. 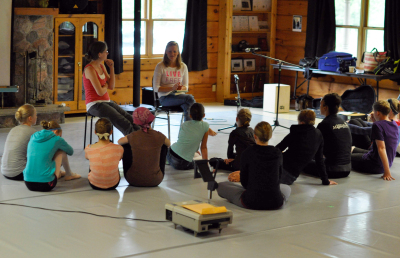 One of the best things about this camp is that there are not a lot of children so they get more personal attention from the mature, reputable adult dance and Bible teachers, not a teenager that is almost a peer. Our family really enjoys the dance presentation and pot luck style lunch on the last day of camp. We get to talk to all her teachers and see what she learned during the week. It was through this camp that we found the right local ballet school for our daughter. We are so grateful for this ministry! My daughter also wanted me to mention that the food is delicious and homemade. She loves the homemade bread and muffins and mac and cheese! My daughter writes: "This camp has really been an awesome experience for me. I went for the second time this past year and I would love to go again. It has helped me in my dancing and my relationship with God. It has been fun to be able to meet other dancers who love Jesus and ballet. I hope to be able to go again :)." This camp has been a terrific experience for our daughter, who has attended four summers in a row. We have found it to be a great encouragement to her faith as well as giving her an opportunity to improve her dance technique. She has connected with other dancers from all over. The teaching has been outstanding. 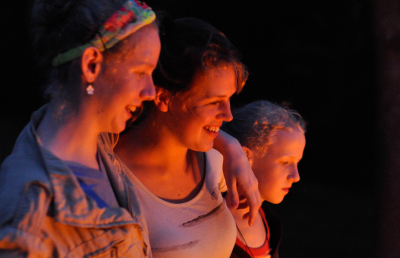 Bible study, worship sessions, bonfires, and outdoor games.